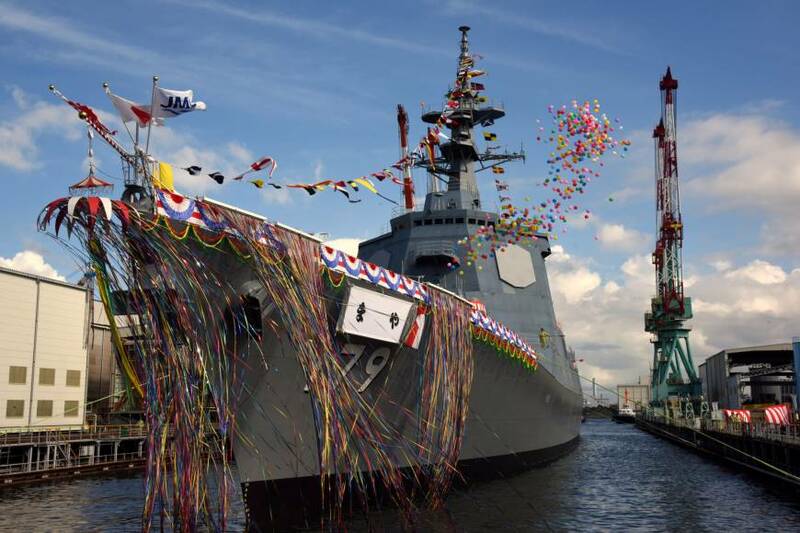 YOKOHAMA - A launching ceremony for an 8,200-ton, 169.9-meter warship for the Maritime Self-Defense Force was held Monday at a plant in Yokohama’s Isogo Ward as Tokyo keeps steadily bolstering its defense capability against North Korean and Chinese missiles in close cooperation with U.S. military forces. Defense officials have pinned great hopes on it. 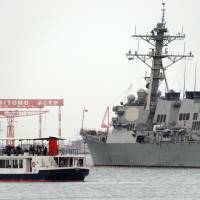 When deployed, the destroyer — built on the back of a ¥164.8 billion ($1.5 billion) budget for the ship and its weapon systems — will be one of Japan’s most powerful naval ships, boasting the latest version of the state-of-the-art Aegis combat system, which can be closely linked to the U.S. naval combat network. 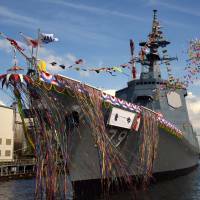 The ship will boast the latest version of the system, which can fire powerful SM-3 Block IIA missiles capable of intercepting much faster ballistic missiles — such as those test-fired by North Korea in a steep lofted trajectory into the Sea of Japan last year. “We cannot avert our eyes from the harsh fact that several hundred ballistic missiles whose range covers our country still exist in reality,” the Defense Ministry said in a letter to the Akita Prefectural Government on July 19. 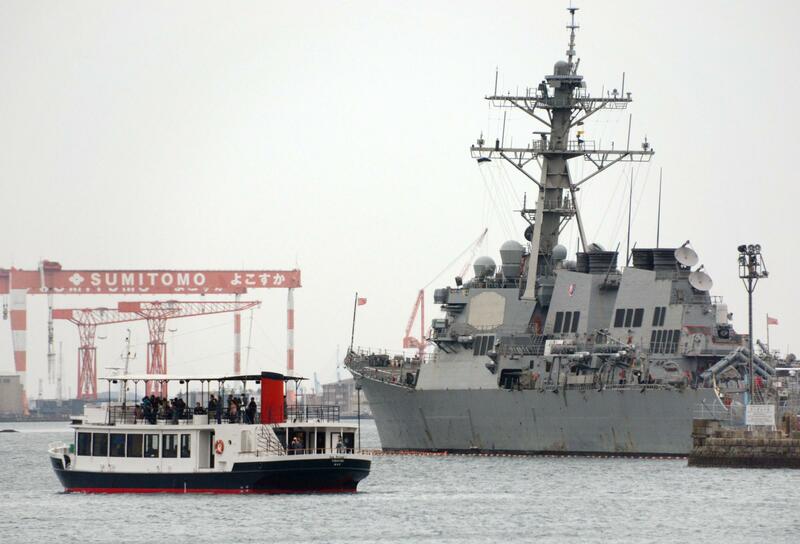 “In the past, the MSDF used to send Aegis destroyers (to monitor missile flights) only after it found some signs” of possible test-firing by North Korea, Ito said. “But the North started repeatedly test-firing missiles without any advance signs. So the MSDF now needs to regularly deploy two Aegis destroyers” in the sea around Japan. On Sunday, the English version of the nationalistic, state-run Chinese newspaper the Global Times carried an article criticizing the Maya-class destroyer for “potentially targeting China and threatening other countries,” quoting comments from a Chinese expert. For Japan to intercept a ballistic missile flying toward a U.S. military base overseas, it would need to exercise the right of collective self-defense — the right to attack a country attacking an ally. In 2014, Prime Minister Shinzo Abe revised the government’s long-standing interpretation of the pacifist Constitution and now argues that Japan is allowed to exercise this right if the nation’s “survival” is at stake. But this has been controversial, and defending a U.S. military base overseas is still a politically sensitive issue.